YES! IN MASTER BATHROOM REMODELING, you CAN have it all, wth Handyworks Remodeling and Design of Wallingford, CT. Be sure your plans include any FIXTURES you want replaced , plus the physical LOCATION of where you want each fixture, if re-arranging is needed. 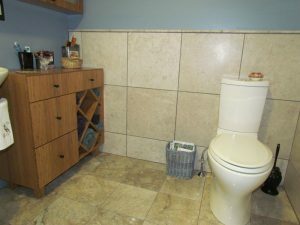 For example, let’s say you want to swap the position of the sink and toilet in your master bathroom for more convenience, while making sure the power outlet moves as well, so it stays over the vanity and not over the toilet. Sure, that can be done. Tell us what you're looking for. 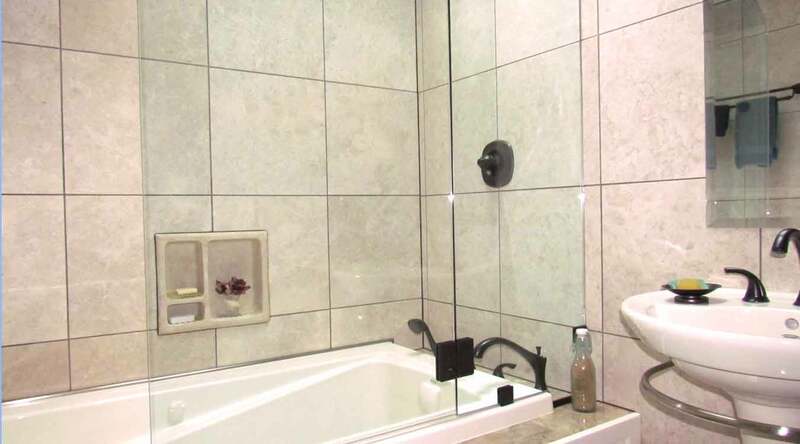 SOME FAMILIES ENLARGE their master bathroom by removing the bathtub entirely, and replacing it with a shower, adding more floor space to the bathroom. 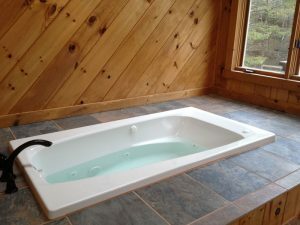 But before you make that move, remember if you’re planning to ever sell your house, most buyers usually want at least one tub. 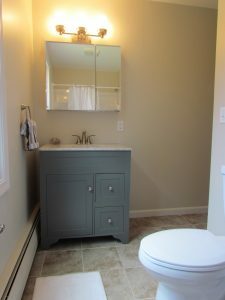 Lighting replacement and new vanity with cabinet. 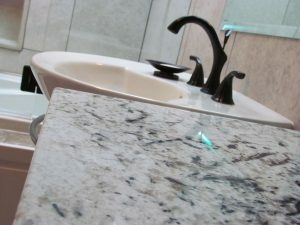 SMALL TWEAKS...BIG IMPACT: For instance, create high visual impact by replacing wall/floor tiles PLUS adding a new countertop to the vanity. Or, consider adding a new medicine cabinet to the wall, to give the same old room a brand new appearance. Go even further.... add a new ceiling light; or new light fixtures/sconces (around or above the vanity mirror) to really “put more light on the subject” than ever before. STREAMLINE THE SINK STYLE in your master bathroom instantly, with trendy new fixtures (gold/brass/chrome colors). Water-Saver toilet tanks (fewer gallons per flush), and Comfort Height toilets (17 to 19 inches high) compared to traditional lower height toilets (less than 17 inches high). EVERY YEAR, people spend many hours in their bathroom. Before you speak with your remodeler, ask yourself “what do I want to be different from what I have now?” That will help define the pet projects you want done most in your master bathroom. 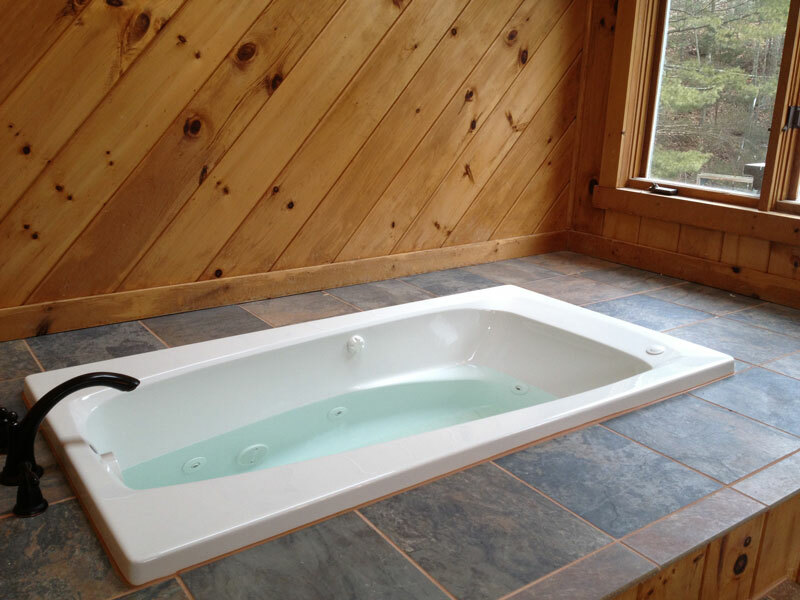 At Handyworks Remodeling and Design, we specialize in top-notch bathroom remodeling in Wallingford, North Haven, Hamden, Cheshire, Middletown, Southington, and many other towns throughout south central Connecticut. ASK KEITH A QUESTION: Get input from an expert! 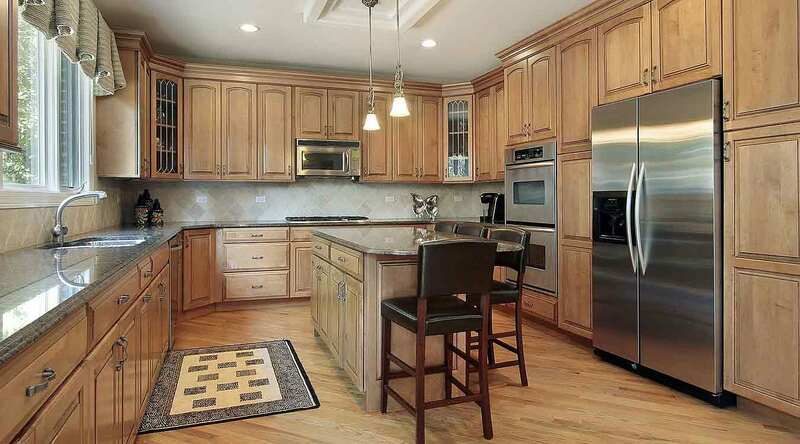 Discuss your question with Keith Santora, president of HRD, Handyworks Remodeling and Design of Wallingford, CT. Keith replies ASAP to your question the same day (or the next morning). Free. No obligation. Click here to ask.